Expand your knowledge base, work smarter, and provide enhanced service delivery. 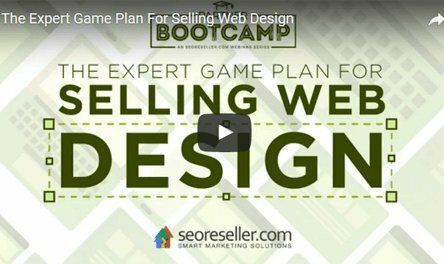 In the Partner Bootcamp Webinar Series, agency professionals and freelancers will learn how to maximize the various digital marketing tools at their disposal. Gain expert insights on cutting-edge industry developments and methodologies, and learn how to take full advantage of SEOReseller’s full suite of solutions. How important is reputation management in your digital marketing initiatives? 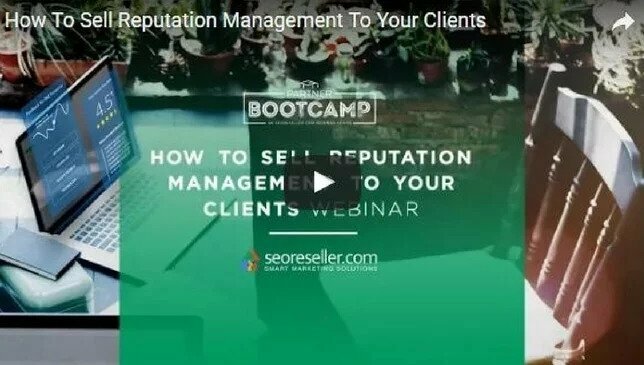 Join Joshua and William in this month’s Partner Bootcamp webinar and learn how to sell reputation management and leverage the value of this service to your clients. 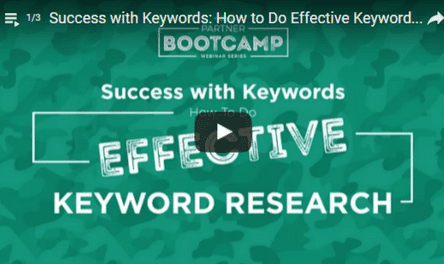 Keyword research lays the foundation for your SEO campaigns and makes it easier to set expectations with clients. Join Bernard San Juan in our third Partner Bootcamp Webinar and learn how to win at keyword research to drive more business and value for your clients. 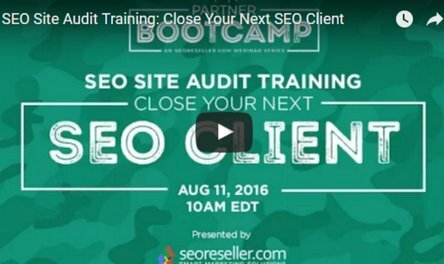 In this webinar, Bernard San Juan teaches you how to effectively use each part of SEOReseller’s SEO Site Audits to win new clients, recommend the right solutions, and begin a successful SEO campaign. 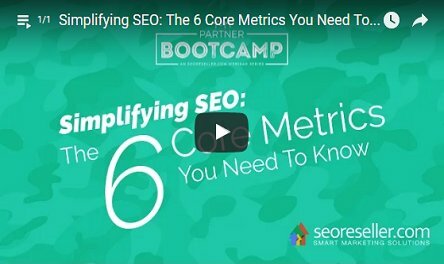 In the first Partner Bootcamp Webinar, Bernard San Juan walks you through the six core metrics of SEO and the best practices for effective optimization.